how far are you willing to go to get what you want? how much are you willing to sacrifice? in the year 1922, wilfred james is about to learn the price he'll have to pay for the ultimate sin. Hilditch deserves credit for generating and sustaining suspense throughout a slow-burning drama that is more fatalistically tragic than traditionally horrific, and for delivering the goods when old-fashioned shocks are called for. 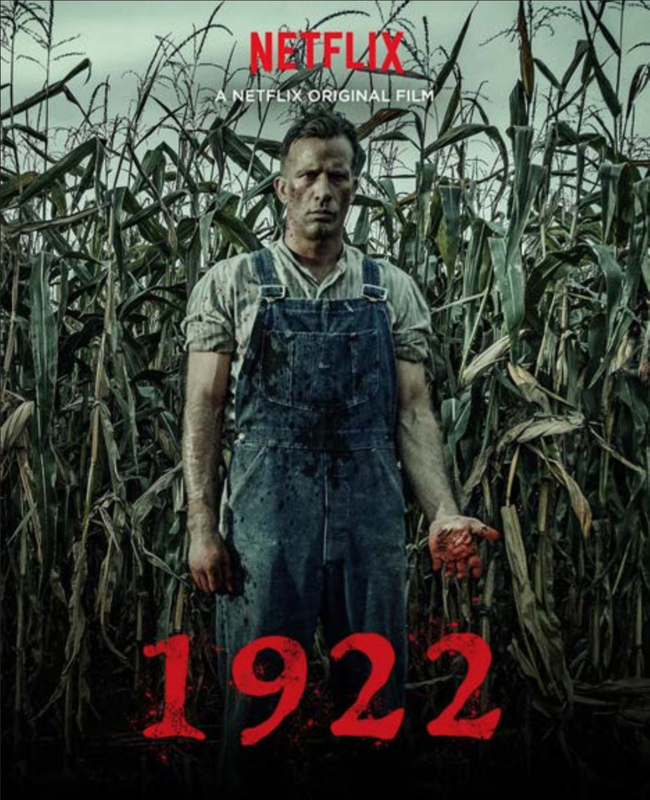 1922 is a terrific example of just how powerful horror movies can be. Not only does writer-director Zak Hilditch employ a gorgeous, psychological slow-burn approach to the storytelling, he punctuates it with sudden bursts of visceral horror. It’s a film that strides just as confidently through scenes of duplicitous dialogue as it does in moments of shocking gore. There’s an unshakable menace that lingers, a tale of guilt and regret that burrows its way under the skin. Hilditch directs with a sharp eye for disturbing imagery... These horrific bits are few and far between, but when they hit, they hit hard. There are no creepy killer clowns or journeys into fantastical realms, but for those King fans who know nothing is more horrifying than the horrors of man, 1922 delivers a mix between There Will Be Blood and Edgar Allen Poe's The Tell-Tale Heart, featuring Jane at his darkest and most disturbing.